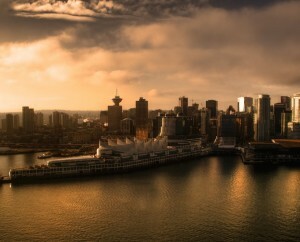 Vancouver’s real estate market closely mirrors the growth of China’s economy, according to an analysis by Robin Wiebe, senior economist with the Conference Board of Canada. Wiebe says there are “significant correlations” between China’s GDP growth and Vancouver home sales, price growth and housing starts. “By contrast, [Vancouver] employment growth is significantly correlated to none of these,” Wiebe writes, adding that this may mean a “substantial proportion” of Vancouver real estate purchasers do not need local jobs or even a mortgage to buy a home. “On the other hand, better economic health in China gives its residents wealth to spend on Vancouver housing,” he continues. Wiebe points out that despite a slightly faster growth in employment (2.1 per cent on average in 2010-12) and population (1.6 per cent), along with even lower mortgage interest rates, Vancouver resale volumes fell 23 per cent in 2012 and the average resale price dropped 6.4 per cent. “One clue to this tepid performance is that China’s real GDP growth fell to a 12-year low, estimated at only 7.8 per cent, in 2012,” Wiebe writes. Wiebe says this suggests Vancouver’s housing markets may welcome a pickup in Chinese GDP growth more than a rise in local employment and roughly as much as lower Canadian interest rates. “If the Chinese economy is indeed improving, this could help rekindle both new and resale demand in the lower mainland,” Wiebe concludes. Of course, as it’s been said many times before, Vancouver has no concrete statistics on foreign ownership. In fact, no level of government in Canada has a system in place to keep track of foreign real estate buyers. Click here to read Wiebe’s analysis in-full, which considers data from as far back as the early 1990s.